Naturasil™ Scar Therapy is a liquid application that should be applied 2-3 times a day to areas affected by scars. When researching this product, we found that it helps reduce the appearance of scars including Keloids. There are some products on the market that do not claim they help address the look of Keloids, like Burn B Gone. This formula contains several ingredients like Rosehip Oil, Lavender Oil and Chamomile Oil. These ingredients are intended to promote healthy skin, provide pain relief, and acts as an anti-inflammatory during the healing process. Unfortunately this formula does not contain 100% silicone. We have found studies indicating that silicone is beneficial for scar healing and that it also protects scars from further damage. 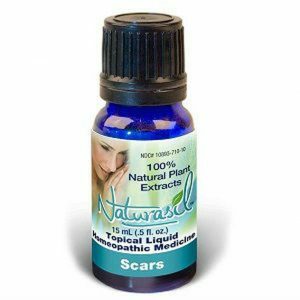 Naturasil™ Scar Therapy is sold online for under $50 but does not offer Buy 2, get 1 Free deals. You may find other options on the market that offers this savings so you can buy a 3 month supply and save money. Apply with applicator brush to affected area 2-3 times per day. Naturasil for Scars assists in reducing the redness and appearance with continued use over 4-6 weeks or more. Naturasil™ Scar Therapy does not offer any Buy 2, Get 1 Free deals and it does not claim it’s for both old and new scars. You should consider your options before you make a purchase! You will want to elect an option that offers the most rewarding benefits, especially if it will cost you anywhere from $20-$80.